How can social media help an automobile brand? In generating leads, in creating engagement by exploring genres such as travel, creating engagement, and making auto as a segment, accessible to their TG. 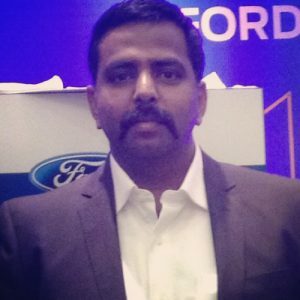 Social Samosa got in conversation with Kaushik Prasad, General Manager, Consumer Marketing, Ford India, to understand the approach adopted by Ford India on Social Media and the underlying strategy to spot trends in the segment. How did the Breaking Stereotypes campaign perform on social media? Ford’s recent campaign themed ‘Mis-Directions’ is an initiative to bust myths around Ford’s Cost of Service. Indians are one of the most discerning customers when it comes to automotive purchase. With their focus on the overall cost of ownership, the Indian customer looks at a guaranteed peace of mind during the ownership of a product. At Ford, we view it more holistically as the Value of ownership, i.e., all the costs involved through the life cycle of the product. For example, while the customer pays twice for some parts for competition, for Ford one has to do it only once a year – which helps to make Ford products surprisingly affordable. Indian customers despite being conscious of the cost are not aware of such facts, and with the help of our new campaign, we aim to break the myth that Ford cars are expensive to maintain. To set the context to the campaign, a series of ‘myth busting’ facts were shared through Ford’s social media channels. For example, myths like coffee beans are not actually beans but seeds or fortune cookies are not a part of the Chinese tradition but American which are widely believed myths. From a reach and engagement perspective, the posts reached out to close to 7 Million unique users with close to 2,000 shares. The TVCs were also published on our social channels reaching out to 3.9 million unique users garnering 5.4 million video views. We are currently running a campaign on Facebook that brings out the fact that Ford vehicles are ‘surprisingly affordable’ to maintain. As we ask the audience to guess the price for servicing a Ford, we pleasantly surprise them by revealing the actual price. With this campaign, we have reached out to almost 6 million unique users. As a brand, what is your objective from social media? What are your plans to achieve it? Social media for us is more than just a platform to publish Ford’s content. Our focus has always been to constantly engage with our audience by providing powerful and relatable content. We have also focus on using social media to drive customer delight by redressal of customer concerns on our channels. We have a dedicated customer support handle @FordIndiaHelp, which plays an important role in bringing us closer to customers and address dealership, service, bookings and other queries that require immediate attention. Where does social medium stand in the scheme of things at Ford? How much percent of your marketing budget is reserved for social? Social media plays a significant role in our marketing and digital strategy. Ford globally was a pioneer and one of the first brands to leverage social media for marketing. At Ford India, we have been using the social medium to help us drive relevant conversations, awareness and interest for our existing and upcoming product portfolio. Infact we have had campaigns like Ecosport Urban Discoveries and Aspire Diaries were campaigns that were led by social media and focused on speaking to our customers on what they best relate to and showcased their experiences. How useful is social media as lead generator for the Automobile segment? Ford has been amongst the first few automotive brands to leverage Facebook Lead as a product. The product helps us capture relevant customer information within the Facebook environment and helps us reduce prospective drop-offs. We have also been using Website Conversion ads with FB Pixel tracking to measure the lead generation to purchase funnel journey and FB targeting tools to reach out to niche audiences for conversion campaigns. However, we also believe that social media has a much larger role to play. More than a lead generator, social should also be used as a lead generation influence medium. The primary social media role for us is to drive upper funnel metrics, influence, create engagement and buzz and manage customer relationship. How often do you work with influencers? How has your experience been? Did you benefit from influencer outreach? We regularly engage with influencers to connect with our target audience. Going beyond automotive influencers, we continue to engage with influencers across genres like Travel, Photography, Content Publishers, New Media Publications and Instagramers. We believe in working with influencers who produce content that is relatable to the end customer. If the content is relatable and shareable, everyone benefits from the outreach. 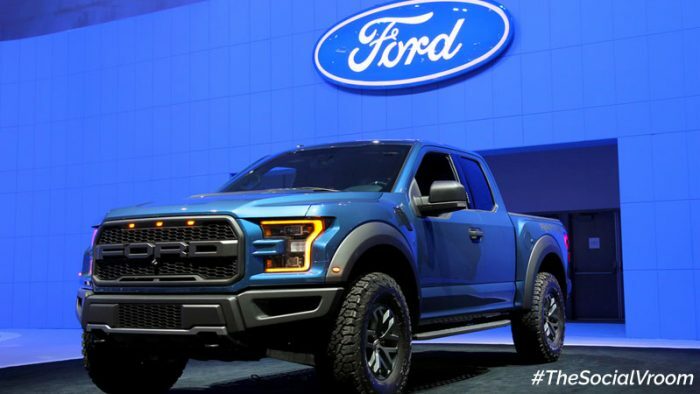 User Generated Content appears to be an integral part of Ford’s content strategy. Any particular reason? How has it worked for you so far? Ford has always believed that customers and social media communities have been a key catalyst to drive engagement and conversation on our social channels. It also helps us showcase some authentic customer stories and experiences that help the brand build trust and transparency. What are the social media trends seen in the automobile space? How big is the BIG idea for Ford? Which has been your most successful social media campaign so far? Why do you think it worked? At Ford, we believe in integrated communications and social therefore does not operate in isolation. The big idea is at the heart of all large campaigns and the same gets extended to social media with socially engaging ideas. The article is a part of our #TheSocialVroom series, aimed at decoding social media trends in the automobile space.